Counselor to the President Kellyanne Conway attends the Business Session with Nation's Governors at the White House in Washington, D.C. Shortly after Hope Hicks, the 29-year-old communications director to the White House, resigned her role, Kellyanne Conway commented that she herself has been offered the job -- on several occasions. 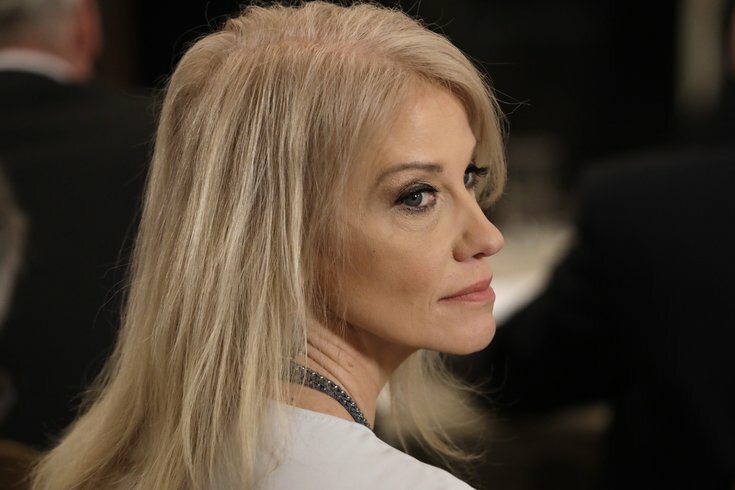 Despite ongoing speculation that Conway would take the role, becoming the fifth person to hold the position in just over 13 months, she told the hosts at “Fox and Friends” that will not be the case. Why? She just doesn’t want the job. Conway is also currently in charge of directing White House efforts against the opioid epidemic. As speculation builds on who will be the next communications director for the White House, Press Secretary Sarah Huckabee Sanders, as well as Mercedes Schlapp, currently director of strategic communications, are a couple rumored names. Hicks resigned from her role at the White House last week, one day after testifying to the House Intelligence Committee in its investigation into Russia’s interference in the 2016 presidential election.